Microsoft Board of Directors decision might just go in favor of Satya Nadella, in making him Microsoft’s nextChief executive officer (CEO). Satya Nadella, the first Indian to lead the company on such high management level, is currently Microsoft’s Enterprise and Cloud Chief. The company’s top level management is also considering to replace co-founder ‘Bill Gates’ as Chairman, according to sources with knowledge of this ongoing-process. The 46 year old Indian descent Satya Nadella emerged as the strongest candidate to fill in Steve Ballmer’s shoes, when the matter was bought under discussion a week ago. 57 Year old Steve Ballmer made big news recently when Microsoft Joined Hands with Nokia – the acquisition is considered to be the biggest business deal of the century, considering the history Nokia and Microsoft shares. John Thompson, the man who soon might replace Bill Gates as Microsoft’s Chairman, remarked that the process of selecting the company’s next CEO is confidential and the names, under considerations, will not be released. 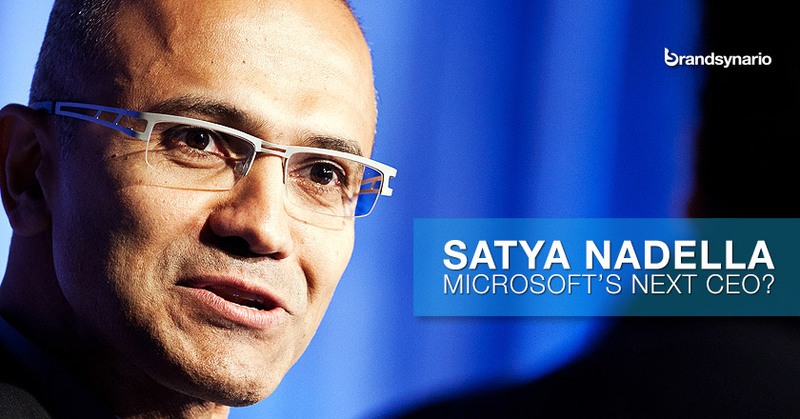 Satya Nadella was born in in Hyderabad India, in 1967. He completed his bachelor’s Degree in Electronics and Communication from Manipal Universtiy, Karnataka. Coming back to more recent times – Microsoft’s revenue from Cloud services has grown substantially ever since Nadella took over the operations back in 2011. It may not be official, but the rumor has it that Nadella might just replace the Bold Steve Ballmer as Microsft’s next Chief. Bill Gates is also reported to soon step down as chairman of the company, although he will be involved in the company as the co-founder, and limited operation areas like product development. The two leadership changes are taking place at a critical point as Microsoft is expanding from its roots as pioneering ‘software makers’ to accommodate their modern endeavors in fields of hardware and Internet-based services. This has made Microsoft stand in even more competitive position to Arch-Rivals such as Apple Inc.
Over the past decade, Microsoft’s stock has gained 74 percent including dividends, compared with a 93 percent rise in the Standard & Poor’s 500 Index. Shares rose less than 1 percent to $36.86 at yesterday’s close in New York.